Our Clubhouse is available for all kinds of events and you don't need to be a member of the football club to hire it. However big, small, happy or sad, the event/occasion can be tailored to suit your needs. The kitchen is fully equipped, including griddle, and the bar is well stocked. There's a stage, a dance floor and plenty of tables and chairs. Have you joined the Hartley Wintney 100 Club yet? Win monthly and yearly prizes while 50% of the funds go back to Your Club. £5 per month/£60 per year. Grab a membership form from the Clubhouse (ask at the bar). We've setup a scheme that rewards the club when you click through this banner or the orange headline link to get to Ebay and then make a purchase in the normal way. 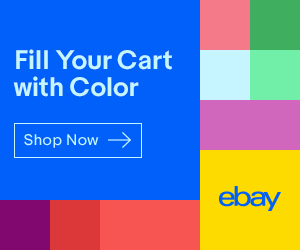 That's all you need to do - so if you're thinking of shopping on Ebay, come here first and get to Ebay via this link so that it adds our affiliate code.